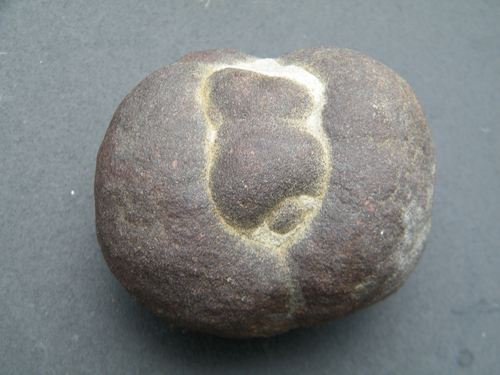 Calcareous concretion (with the faintest of bubbling with HCl under magnification) from Garfield County, Montana. Part of the collection of a 95 year old woman who lived on a ranch about 15 miles north of Jordan, Montana. Found on the ranch property many years ago. Tufts of anthophyllite in matrix from the Turret District in Colorado. Two old labels, one from Harry Sering / Choice Minerals. 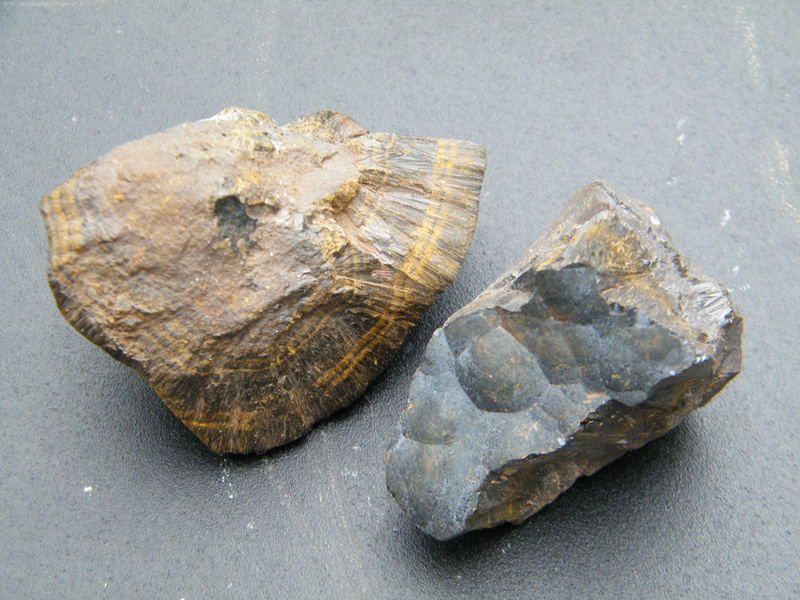 Two old botryoidal goethite specimens from an old Gogebic Range mine in northern Wisconsin. 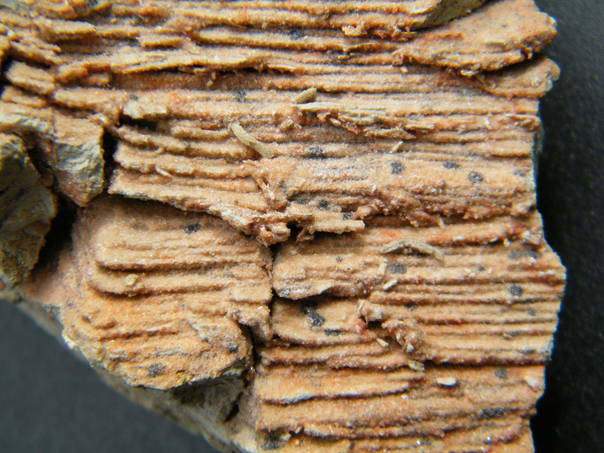 Turkmenistanian celestine from a geoid like formation. Clear crystals, with some red inclusions. Bluish celestine on the outer layer. Child photo of entire specimen. 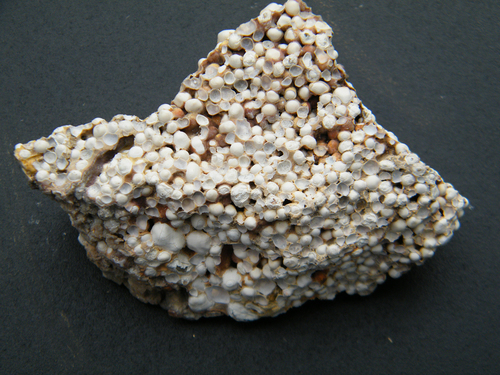 Chunk of aragonite "cave pearls." 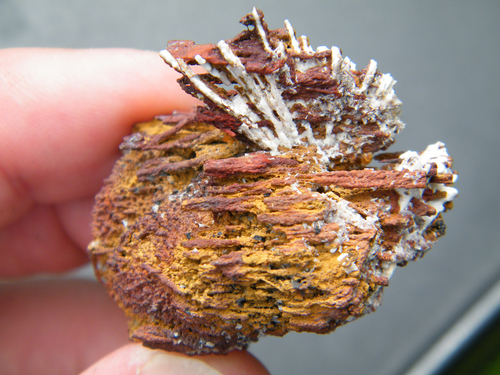 Old specimen labeled "limonite after hemimorphite crystals." Child photo shows another side of the specimen with the old label. 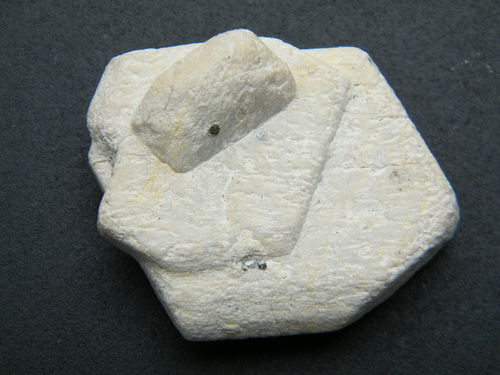 A Pig's Egg - kaolinite after orthoclase - from a location now covered by the "Eden Project" tourist attraction. Tag from the E.S. Treseder Collection indicated self collection 31-1-1967. 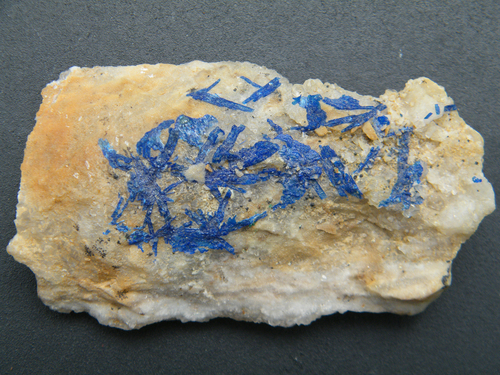 Old specimen of linarite on quartz from the Mex-Tex Mine in New Mexico. The child photo shows both sides of the label that came with the specimen, indicating the specimen is from the collection of Cecil Jennings. 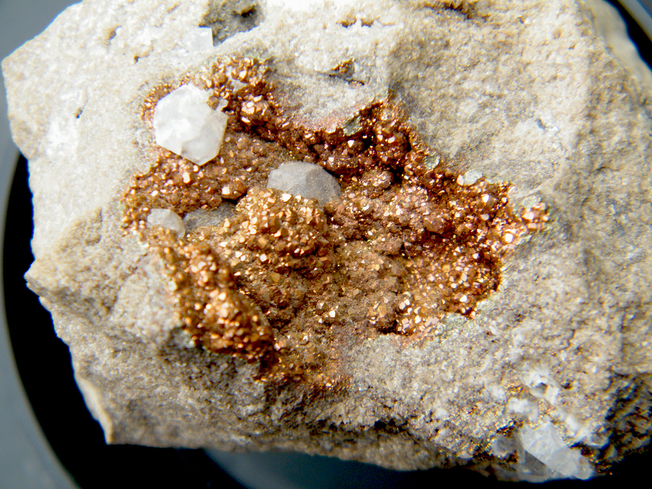 Vug of copper colored pyrite (or chalcopyrite? but not listed for this location) in a vug of limestone with calcite. 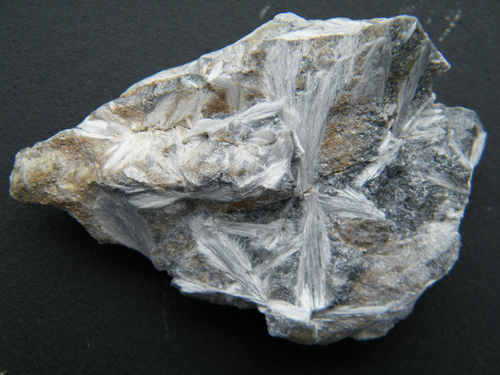 Another specimen of an old collection pseudomorph of chevron halite crystals from central New York. 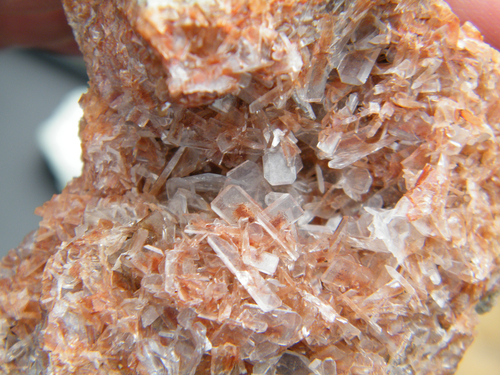 Dolomite, calcite and quartz after chevron halite crystals. Chevron crystals form on the floor of saline bodies of water. Specimen was formerly in the Alwin Fogg collection of Poughkeepsie NY. Child photos of entire specimen.